A neck liposuction or chin liposuction is performed to remove excess fat beneath the chin and tighten loose skin in the neck. 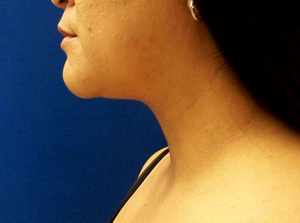 A less invasive alternative to necklift, the procedure can produce dramatic results in the patient whose chin and/or neck has sagged with age or after weight loss. After a detailed clinical evaluation of the patient the procedure is safely performed by Dr Misbah Khan in her office under local anesthesia. 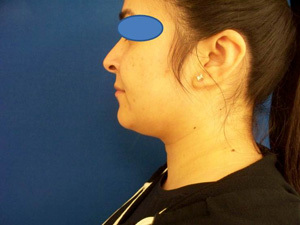 Excessive fat under the chin can be successfully removed with a tiny incision buried in the chin crease. Dr Khan’s technique is “one incision” technique as opposed to most commonly employed 3-5 incisions technique. Laser-assisted lipolysis is used if there is significant skin laxity that can be realistically enhanced with this minimally invasive technique. Upon completion of the procedure, Dr Khan will request the patients to evaluate themselves while in the office based on their before and after photos. 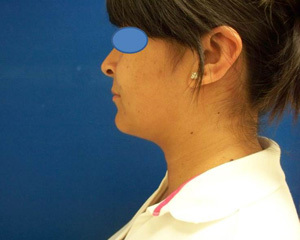 Minor asymmetries are corrected while the patient is sitting upright. Patients can go home immediately following the procedure wrapped in a special neck garment which will be provided by the staff at Dr Khan’s office. Mild soreness is expected for the first 2 days after which the pain subsides and the patient can resume their daily activities. Minor bruising can persist up to 7 days. A detailed written instruction sheet is provided to the patient at the time of discharge. Patients are then requested to return to the office after 4-6 weeks for pos-procedure follow up. If you are considering neck liposuction procedure with possible neck skin tightening, call Dr Khan’s office to schedule for a consultation and evaluation.